Want the real scoop on internships? Ever wonder what Duke students really thought about their experience interning? Are you interested in learning about internship opportunities from students who have actually completed them? Then don't miss out on this fun evening! 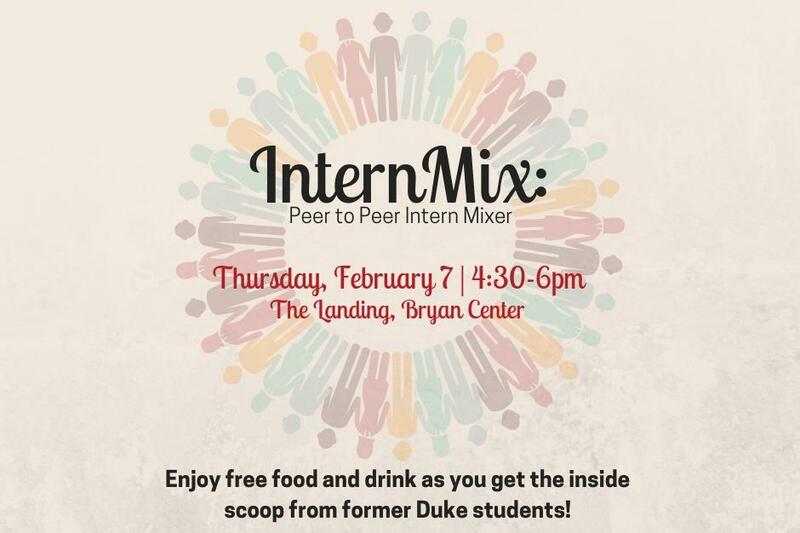 Join us as your favorite Duke Career Center staff will be mixing up some special mocktails while former interns dish up advice in a casual, fun environment. No suits, no pretense, no formality - just real, honest insight and advice from students who have been there, done that. This event is open to all academic levels and majors. Space is limited, register today! *Register by clicking More Event Information below.